Finally, if you have an sd larger than 1GB, grow the partition with gparted (first move the swap partition at the end). The root password is raspberry. It’s done, I hope you will enjoy it. the / partition should now be the size you want/need it to be. I’ve been using this image for over a year now and have had absolutely no problems with it. Will it be updated to work on the PI2 or should I start hunting about for another image to use? Want to make a bet on who’s arrives first? I was trying to get an image above updated and posted, but I’m not great at creating an image. One of the other followers was willing to host it, but I can’t seem to get it less than the size of my SD card. My company is going to pay me to update this image for the Raspberry Pi 2, so I will definitely do it. Also, lots of improvements will land in the next couple of months so stay tuned. Give DietPi a try. Minimal Raspbian image with optional installer for popular programs that are “ready to run”. The Image doesn’t work with the my raspberry pi 2. Only red LED is on, the green LED is off. No network connecting/traffic, no boot up – can anybody help? Not until I receive my Pi2. It wont work on the PI2 until the Kernal is updated in the image because it uses an ARM 7 processor instead of the old ARM 11 one. You’ll have to have patience I’m afraid. Waiting for my PI2, I’m also waiting hardly for your update. excellent job, please keep going on! Hi, i have spent many hours with this image but i cant get usb wifi working. Im using the correct RTL8188CUS based adapter and have been trying to install the 8192cu.ko driver. I have done everything correctly but the kernal just hates my 8192.ko file. Is there a 8192cu.ko out there for this images kernal version (3.6.11+)? I upgraded my kernal to 3.12…. and its as if there is NO driver out there that will work with this kernal! Then delete partitions with d and create a new with n. You can view the existing table with p.
n p 2 to create a new primary partition, next you need to enter the start of the old main partition and then the size (enter for complete SD card). The main partition on the Debian image from 2012-04-19 starts at 157696, but the start of your partition might be different. Check the p output! After the reboot you need to resize the filesystem on the partition. The resize2fs command will resize your filesystem to the new size from the changed partition table. This will take a few minutes, depending on the size and speed of your SD card. Can anyone confirm that this will work? I know it works on the official version of Raspian but I wasn’t too sure about this slimmed down version. I guess I could install it on the new SD card in the old Pi, update it, and then swap the card into the new Pi2. Cheers for the heads up Andreas. Never mind it doesn’t work. Just download the image, update on a RPI1, run rpi-update to snag the latest kernel (which is the important part. You need kernel7.img on the boot partition). Once all that is done, jam the card in a RPI2 and enjoy. This works now but it didn’t the other day. I must have been a bit too eager. The network adaptor doesn’t work though. Ifconfig only shows the loopback interface but ifconfig -a shows both. Anybody know why the network port isn’t being started on boot? It seems that for some reason the Pi2 has the network adaptor set as eth1 instead of eth0. Got it working but I’m not too sure why it does this. maybe it’s because I set up the static ip on the Pi1 first? So just got my RPi2 and updated the firmware and all on a B+. It booted just fine on the RPi2 except for bring up eth0. With Trip’s comment, I was able to get it configured with a static IP. Instead of using eth0, I swapped it out with eth1. Coitadinha!Nem costumo passar pela praÃ§a, mas realmente parece impossÃ­vel tanta gente a passar por lÃ¡ e ninguÃ©m ajuda-la.Vou tentar doar algum dinheiro para a AssociaÃ§Ã£o, a ver se ajudo esta e ouros animais, mas a coisa estÃ¡ apertada … ainda assim vou ver o que posso fazer, e jÃ¡ divulguei vÃ¡rias vezes a vossa associaÃ§Ã£o, sÃ³ nÃ£o sei se tem surtido resultados, mas vou continuar a fazÃª-lo.As melhoras para a Christmas. Has anyone got the camera working with this? Got it working. Need to update the kernal with rpi-update as there is some kind of bug that prevents it running on a a+ or b+ model on older ones. Also you need to use a work around to enable the camera as raspi-config isn’t on this image. There’s scripts out there that can do it. Have you got any links to scripts as everything I see uses raspi-config? The network eth0/eth1 problem is caused by a feature of Debian. When you first start it up it saves the MAC address of the network card in /etc/udev/rules.d/70-persistent-net.rules and assigns that MAC address to eth0 forever more. When you transfer the card to the new pi, the network interface has a different MAC address so it gets assigned to eth1 as eth0 is already used by the old MAC address (and the new one is appended to the file). So I’ve got my RPi up and running and working great. Thanks Jimbo for that tip about the eth0. Now I’d like to place this as a server, but needed to add a few accounts. I added a new user, but am unable to get that account as a sudoer or added to the wheel group. I’ve attempted to use usermod, without any luck. Set up a new user on the system: adduser user_name. Add the new user to the sudo permission file: adduser user_name sudo. Add user to group: adduser user_name group_name. Don’t forget to change ownership of any files or folders if needed: chown -R owner_name:group_name /var/www/fileorfoldername. Again: not sure why that didn’t work last night… but it was late. With the clean install that I just did, I tried to install Sudo and was told that it was already installed?? I really like your work. This is a nice small install and a good start point to build a project on raspberry pi. I would be interested to know where your figures for RAM (14MB) and image size (118MB) come from. I am working on a robotics project. I started from the (deprecated) raspbian netinst installer (+ hours of minimising it myself), then the raspbian-ua-netinst and have now tried your image, as well as Arch Linux. I created shell scripts (and a C program to use Monte-Carlo estimation of Pi) to compare usage/performance data and am still looking at the results, but I get nothing close to the figures you state. From the very first version of the image, where everything was super-minimal and made from scratch. Then peoples started asking for features and I switched to the raspbian kernel and added some more things. Hi darkbasic. Thank you for your great work. I’ll receive my pi2 this week, any news about the next version? May I help you? Have you had a chance to start working on the Pi 2 version? How can I add a user to the sudoers? Looks like the file /etc/sudoers doesn´t exists…. My apologies if this isn't an efficient way, but I may still be working on a prior version of this image. Thank you. I will do it that way. Quick question, will it work on Raspberry Pi II? I read that you have to update kernel on the first one before it will work on Pi II, but I don’t have first Pi. I have been trying to create an image that has been updated with the newest kernel and using the same footprint as image above. On another note, I haven’t found a great online, public accessible storage location that doesn’t have a lot of ads, spam or potential for malware to infect anybody’s computer. If anybody has any tips to easily create an image and point me to a repository that can host this, it would be greatly appreciated. I provide a mirror for this image currently and will happily host another image for you provided you manage to get it in at under 1GB!! Are you willing to share the link for downloading the Raspberry Pi 2 B image? I recently got the new model. There is still no image for the PI2, but I will need to update it for work so I will probably publish it in a few weeks. Since I got my Pi2, I was looking for something to install on my Pi1. This is it! Works very nicely. Many thanks for the re-size walkthroughs above. Minimal Raspbian image with optional installer for popular programs (Kodi/LXDE/Retropie etc). All of which are optimized for your Pi model and “ready to run”. I tried to set it on Raspberry Pi 2, but it didn’t work. I tried to write using dd to sd card on linux and resize the main partition using gparted, but the boot failed stopping at the rainbow screen. Partitions were written properly, I could see inside them. I repeated the operation without growing partition but it also failed. Were I doing something wrong? Do I need to wait a recompiled version? I’d really enjoy to try it, since I need an minimal Raspbian without extra software and with control over partition sizes. I posted a comment to Pav’s request, as it seems similar to yours. The rainbow screen is in fact the issue with the kernel version. I ran into the same case when I first tried this image and forgot to update the firmware. But once the firmware is updated, the instructions to resize in this thread works great! Thanks for posting the image, but I find that the site is riddled with malware. I couldn’t even click on whitespace before my protection software blocked it. I downloaded your image through a VM. I tried it on the Pi2 and it gets stuck at the rainbow screen. It doesn’t appear to have been updated for the latest firmware kernel. I’ve tried the DietPi once before and it didn’t fit my needs, but it was a short lived project. I’m willing to try it again in a little while. But that wasn’t the reason why I was posting. Besides this post is for this distro and not for any others. Te torrent is the same posted on this page, to download correctly, just check the md5sum. I am very glad you’ve done this. Thanks so much, but why 7 zip? Can you provide a better alternative? zip or tar? 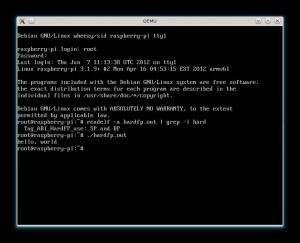 DietPi (minimal RPi image) uses 16mb ram on a Pi1. Ram usage was for the first version of the image: since peoples started asking for more features ram usage increased every release too. I’m sorry for that. Can you then release and OS, optimised for web servers. E.g nginx, php, my SQL and SSH(including sftp); because this OS has the fndimentals to be a web server but it would be good to cut back on ram usagr. It’s already optimized and I do use it in several servers: you can’t have both features and lesser ram usage. If 15 more MBs of ram are a problem you can use DietPi as suggested. What can I remove to save ram usage which is currently useless for a web server? I would rather not reinstall an Operating sytem, as my server will have some down time. Can we download your original versiom of dark basic. Which uses 14mb ram? Do you have any suggestion of manually removing useless software for a web server? I upgraded your minimal image that I have been running for some time, to Debian Jessie. The upgrade went fine all except when I rebooted it still has the original kernel running. 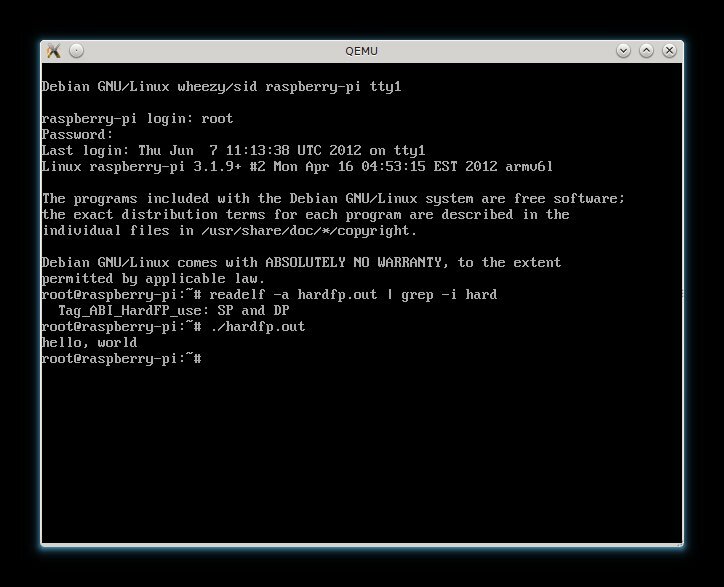 Is there any way for me to switch to the latest kernel that I installed via the linux-image-rpi metapackage? BTW thanks for a great minimal image! My bad the checksum matches on the uncompressed file. Not sure why I have to different file sizes though. Hey ! looking forward for the Pi 2 image ! Works perfectly well (after configuring wlan0) on Compute Module. Thanks very much, great work! Is there any hope for a distribution around jessie; wheezy is old now; and some applications require newer versions of glibc. thanks a lot for this minimal image! Very useful. Is it possible to have the .config for the included kernel? If bandwith is an issue, why don’t you just use torrent? pleins de vitamines et de minéraux. Excellent, what a blog it is! This blog presents valuable data to us, keep it up. May I simply just say what a comfort to uncover somebody who genuinely knows what they are talking about online. 479 yards in 2009, scored four touchdowns, while averaging 5.
with making use of their new coordinator Mike Nolan.